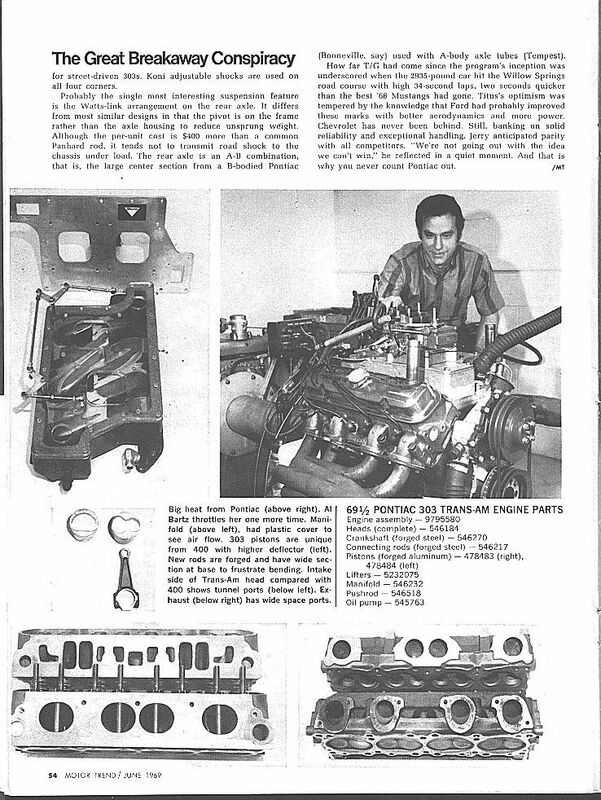 Same Car Craft 'Finelines' article with some other photos (issue is May 1989), plus better resolution scan of For Sale advertisement. Hope this comes out! Will send For Sale item across as a JPEG, sorry to be slack here. Thanks for posting those pics Mike. They contain so many neat details in the construction and interior shots. As you know we crave this sort of information. Much appreciated, and you certainly aren't slack. 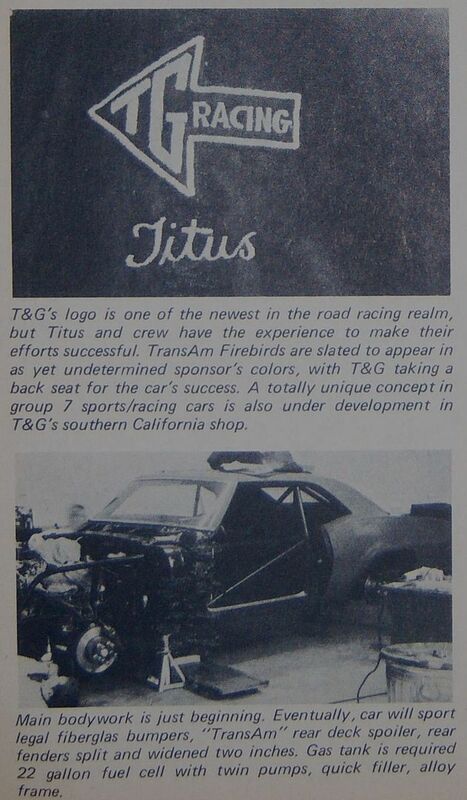 Here's another article on the Jerry Titus Firebirds. 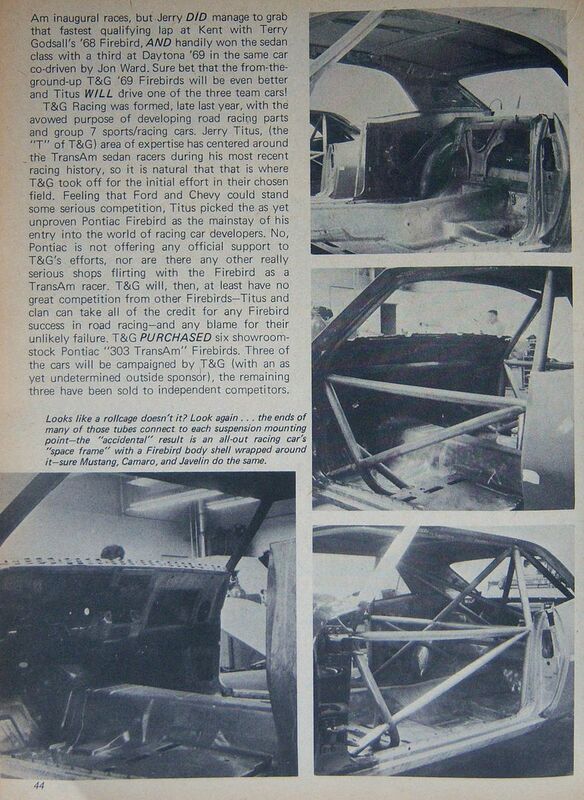 This one is from my May '69 issue of Motorcade magazine. That is a neat article Jon, i have seen some of the pics used in another very similar article somewhere. I notice a few points worth mentioning. 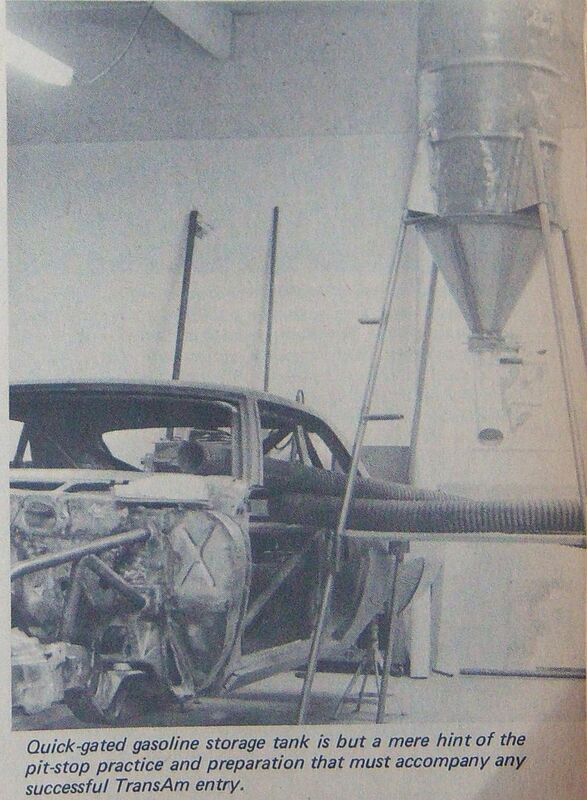 T/G were sent engineering mules as the basis for the race cars. these were cars that were used for testing some aspect and never destined to be road registered. 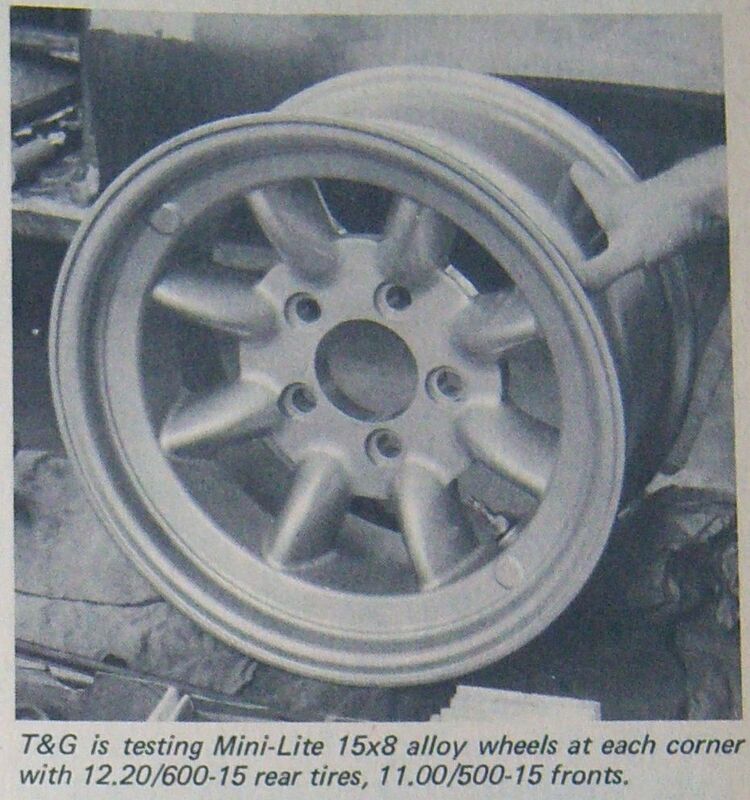 If not used for race cars they would have been scrapped. In one of the pics above of the special taller front spindle you will notice that the top of the Corvette brake caliper mount has to be 'clearanced' to make room for the extra length (height) of the spindle. 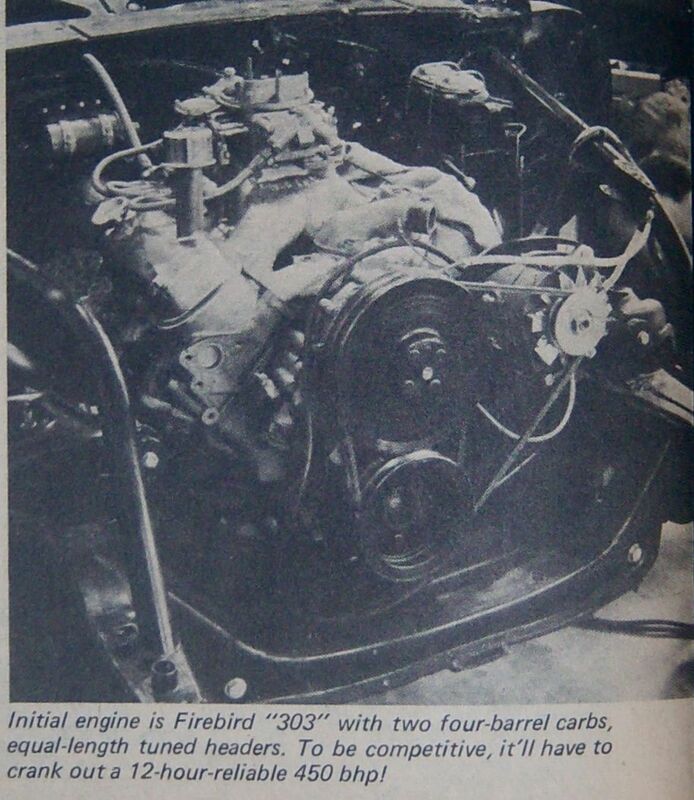 The parts are pretty much identical to the ones used on the race Camaros, but they were assigned part numbers on the race Firebirds. Thanks for posting those Jon. 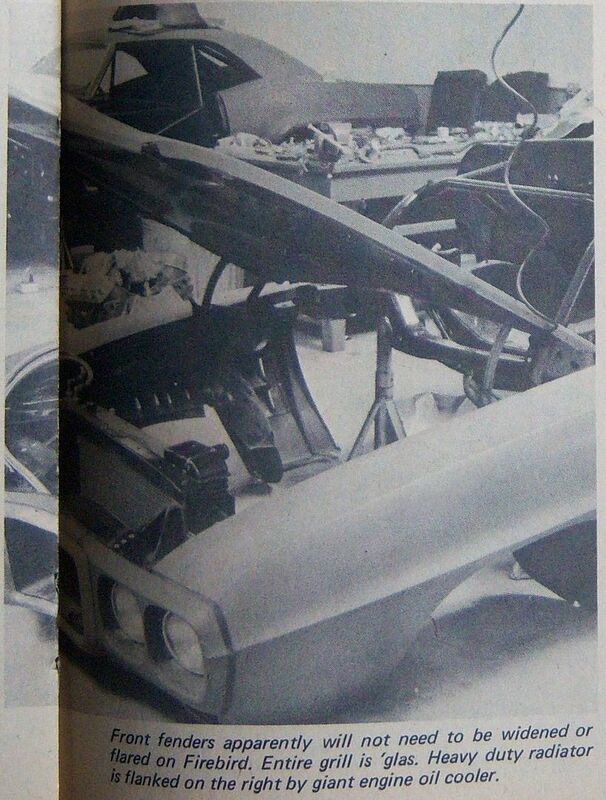 Further up in the pic of the 303 cubic inch Pontiac, you can also see the locating stub for the radiator support on the front of the frame rails just in front of the roll cage extensions. This was part of the quick removal of the entire front end sheetmetal to make servicing and engine changes quicker. I see they had their tall (but not as tall at Penske) fueling tower built before the start of the season. 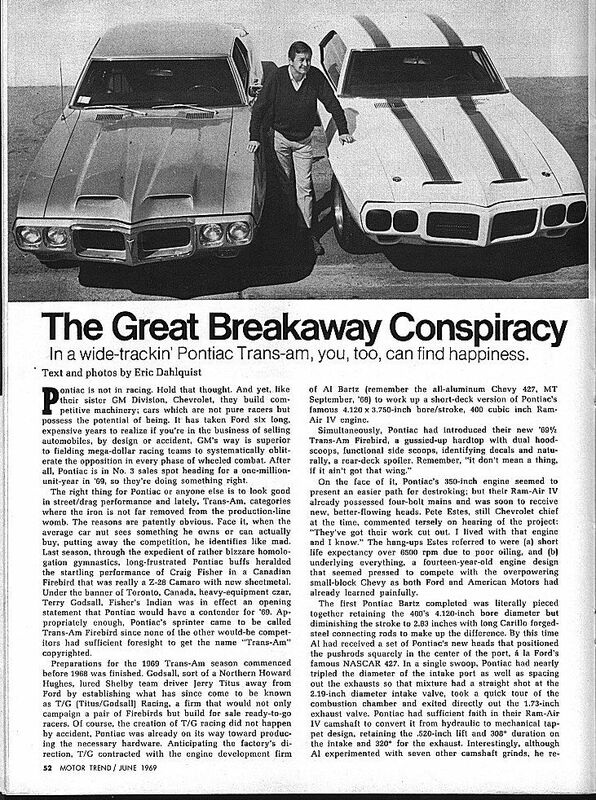 Do you have any more pictures or information on the rear disc brakes on the Pontiac rear end ? It's always a bit fun to post something people have not seen before. I'm glad you guys enjoyed that. 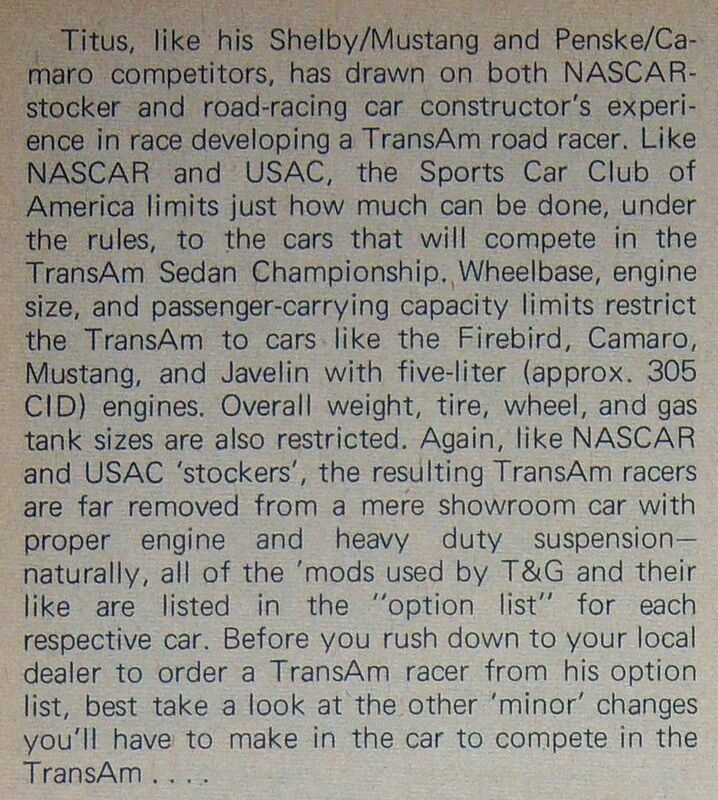 Some of it may be conflicting, but this page has specs on the axle that matches his. Bruce states..."I have a 10 bolt rear cover, 12 bolt ring gear bolts, 31 spline axles, and it seems the Olds unit was the primary user of these parts. 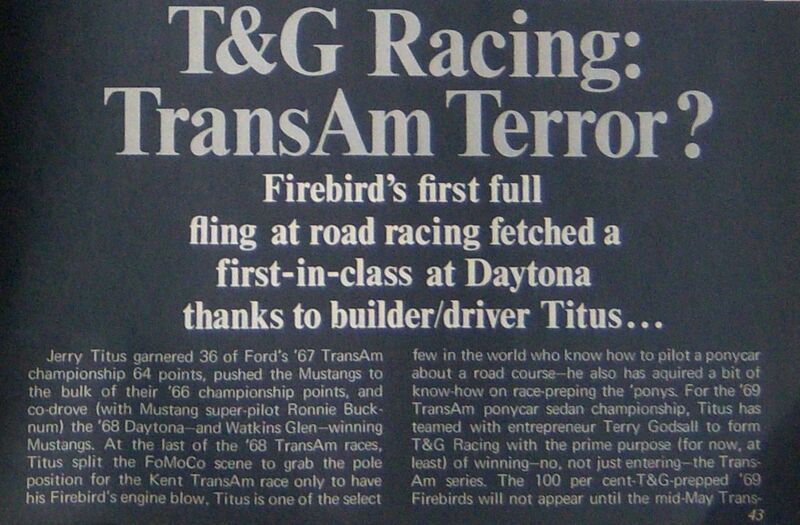 That is why [Firebird racer] Frank Eggers used the type O axle. Because the type of car these came in was not as regularly used as a serious performance car, the rear end has been neglected. 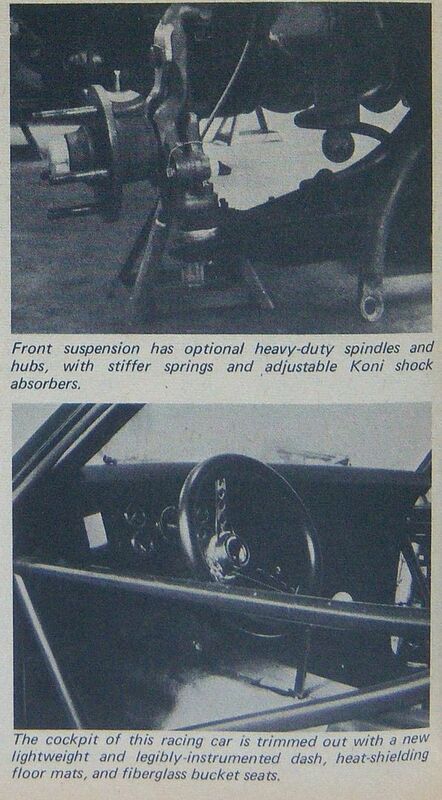 Few have known that there were rear ends with 10 bolt covers [that] had 12 bolt internals. Here is another exchange on the rear ends. 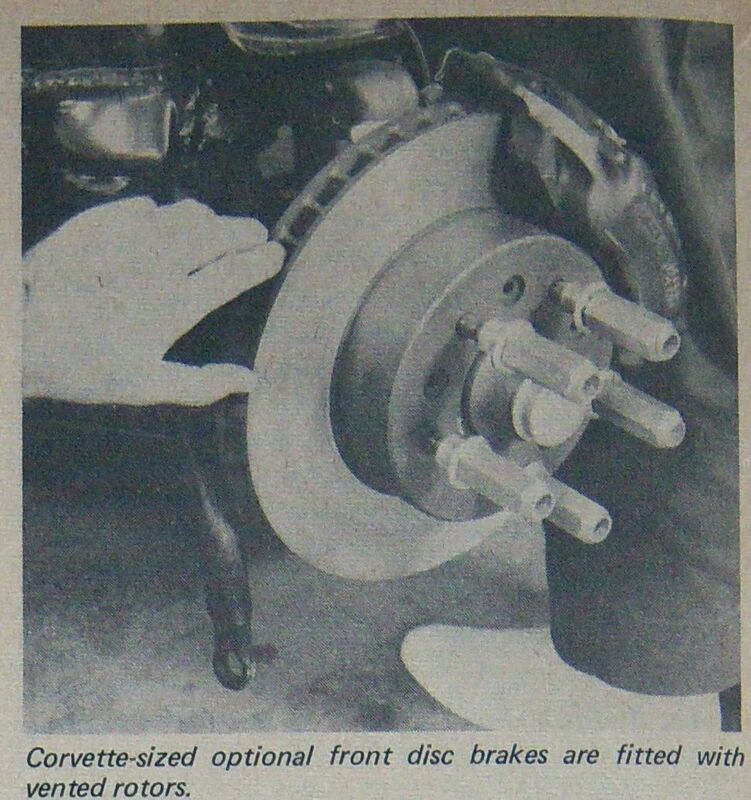 http://forum.jdrace.com/viewtopic.php?f=17&t=212 "
I can add that Bruce's rear caliper brackets were not the same as those used by the Camaro teams (Corvette right-rear brackets). 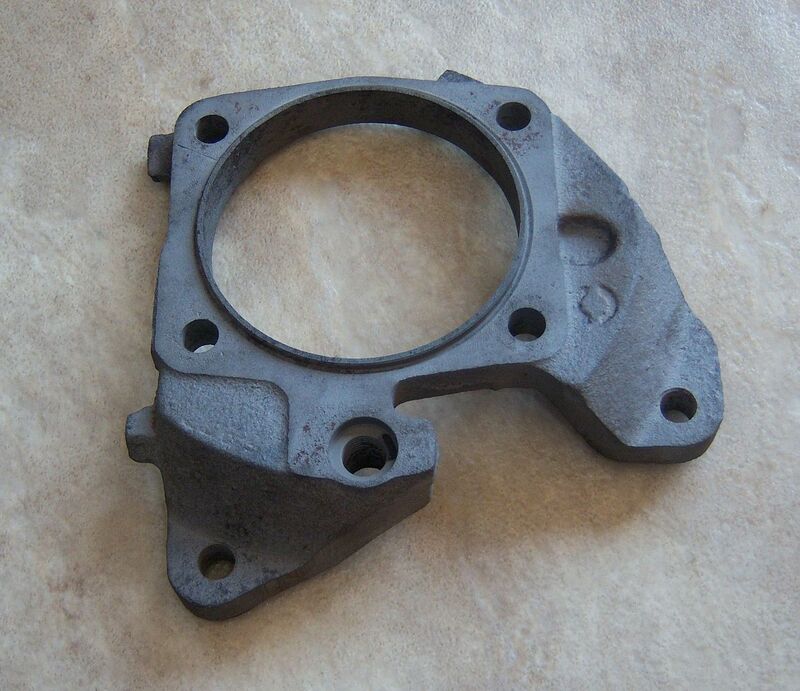 His brackets are different and, if I remember correctly, are a completely machined piece rather than a casting with some small machined areas. I hope this is helpful. 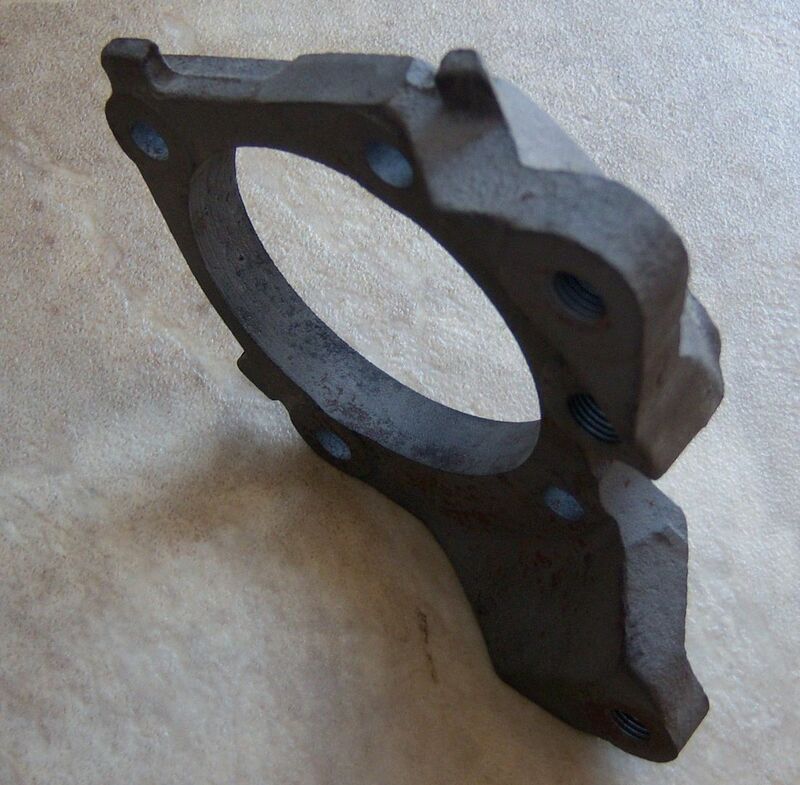 Here is a pic of one of the T/G racing rear caliper mounts. 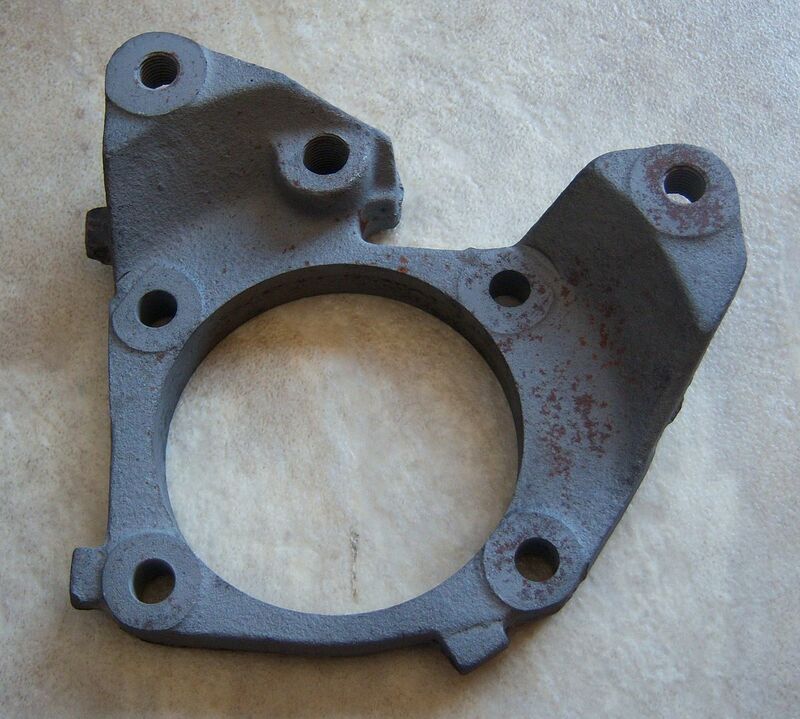 It looks to have been milled as opposed to cast. You can see the bearing and collar, the caliper mount bolts to the flange on the end of the axle tube, pressing the bearing into it's seat and retaining the axle, No C clip like the Chev rear axles. Great photos, Bruce. Thanks for posting those. Here is the GM bracket for comparison's sake. 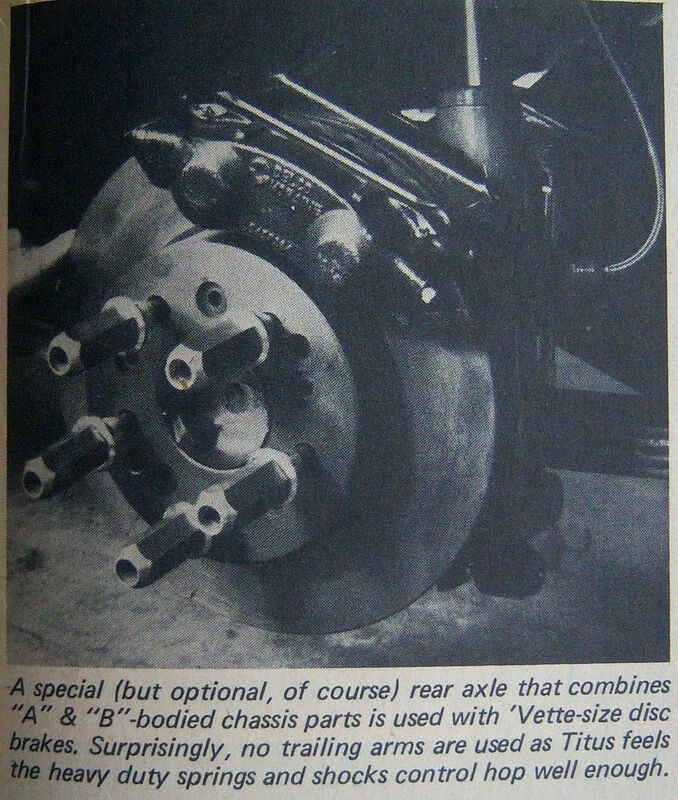 Here is one of the hybrid rear axle. 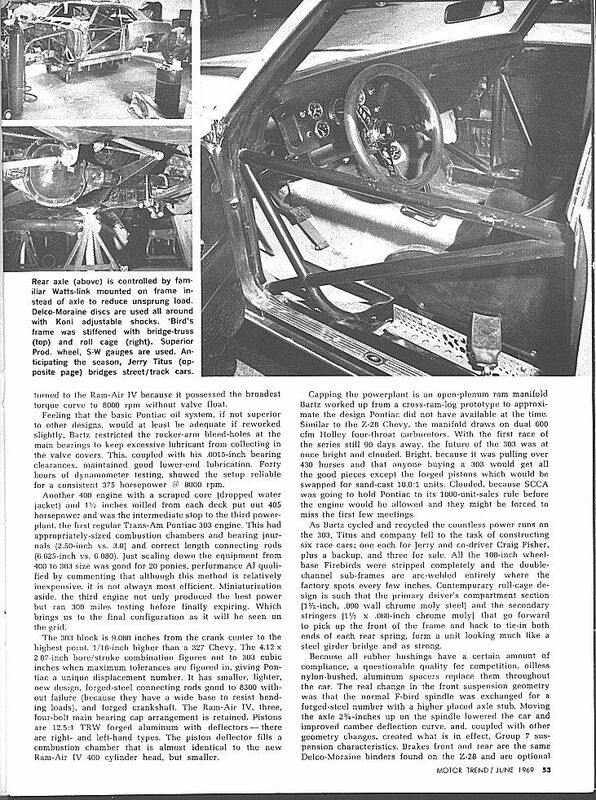 The centre section is from the Pontiac big cars, like the 455 powered station wagons etc. As Jon pointed out above, they have a 12 bolt ring gear. The axle tubes are from the F body so they are the right width, and have the appropriate mounting points. The outer wheel bearings have an inner race so don't run directly on the axle shaft. This has the extra 'box' added to the rear cover to increase oil capacity. The two tubes are copper and pass fresh air through the middle of the oil. The second pic is the axle without the extra box added. It also shows the various linkages and bars. 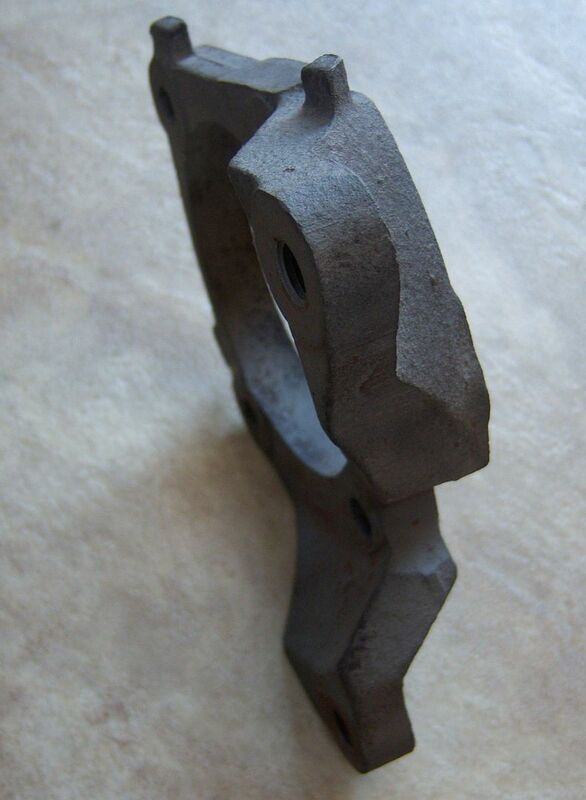 I will try and find a pic of my axle as it is now. These are from period articles. 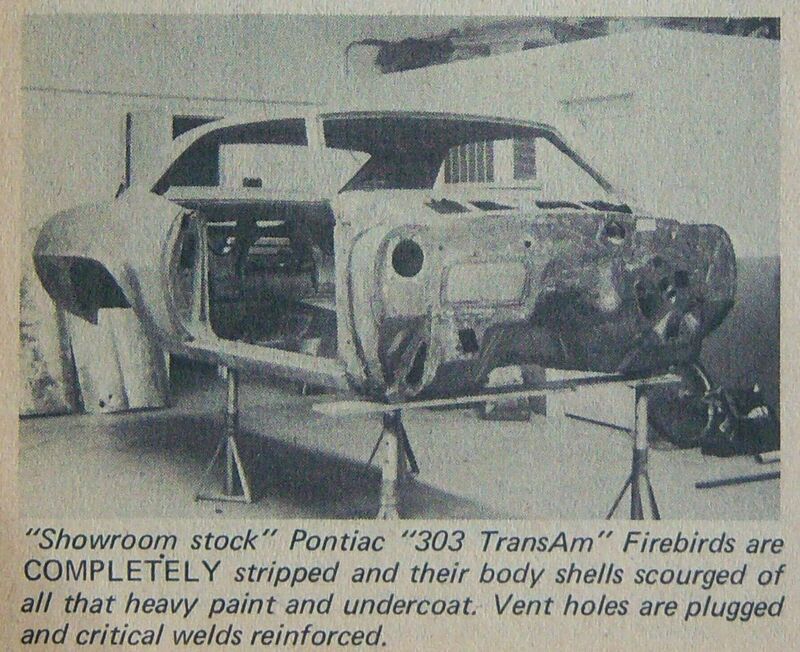 Here is my T/G Firebird rear axle, it is partly restored, i was mocking up the Watts linkage when this was taken.